I love seeing how solids work so well with this pattern. It is a beautiful quilt, that's for sure! Love it Hillary! Great job and I noticed that quilting! And the car passing by goes perfectly with your quilt! 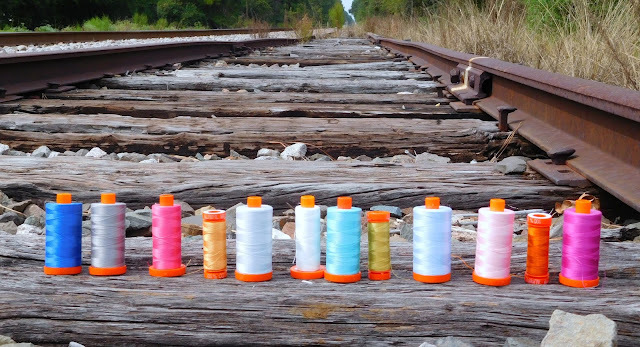 Aurifil spools lined up on the tracks is a great shot! I love the modern look of your quilt! Thank you so much! It's amazing how a simple fabric change can alter the entire look of a pattern! 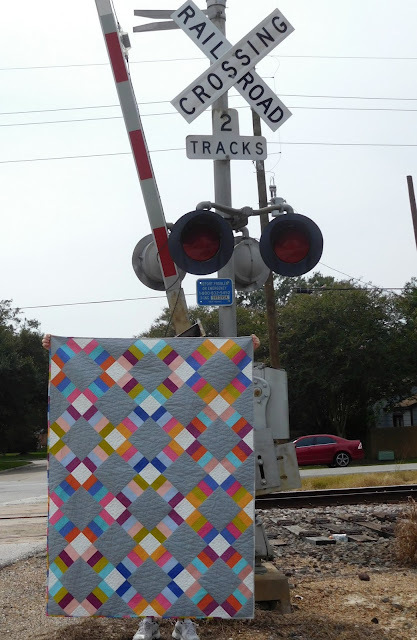 Really lovely quilt, and the perfect location for the photos. I love the solids is this pattern. 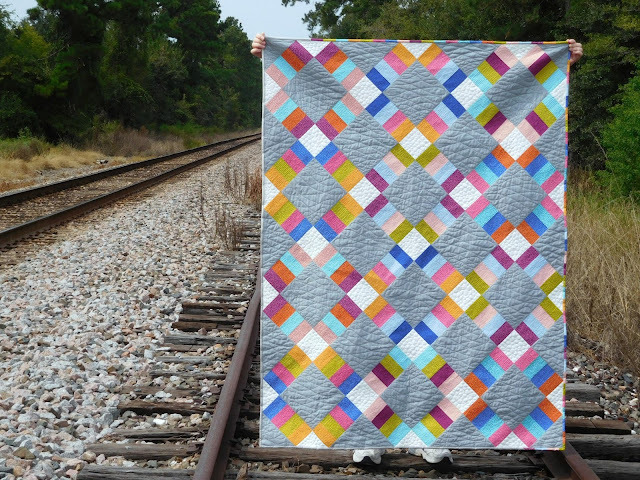 You quilting looks beautiful. Love the picture of thread on the tracks!